It appears that Manchester United‘s frustration in this summer’s transfer window will continue, after the club has been repeatedly thwarted in their efforts of sign top players. The Red Devils have been linked with a number of defenders as of late, and one name that continues to pop up is that of Tottenham Hotspur center-back Toby Alderweireld. The Belgian was injured for much of Spurs’ decent season last year, but in his absence, newbie Davinson Sanchez performed admirably and won the trust of manager Mauricio Pochettino. Alderweireld has since found himself on the periphery at Spurs, with the coming season almost underway. Despite his struggles at club level, the defender put on a stunning display for his country at the recently concluded World Cup in Russia, and earned plaudits from players and fans alike, along with renewed interest from United boss Jose Mourinho. 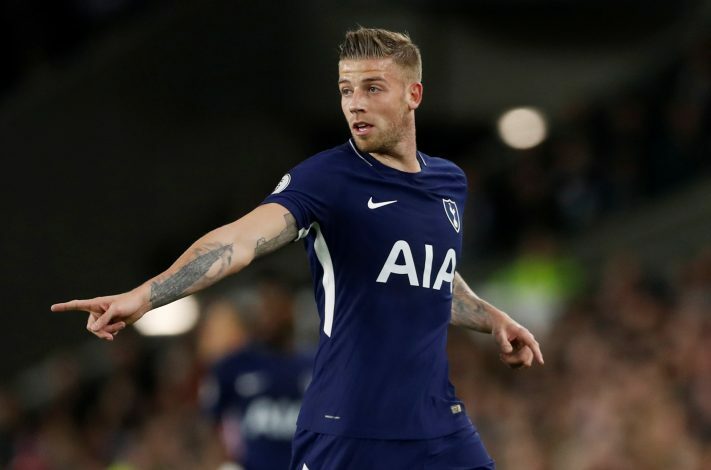 But Sky Sports reporter Paul Gilmour has revealed via Twitter that United and Spurs haven’t been able to come to a common ground on the valuation of Alderweireld, and that his current employers expect in excess of £50m for their man. It is also pertinent to note that United were willing to pay £65m for Harry Maguire of Leicester, but face an uphill task in convincing the Foxes of letting their player go. At this stage, it seems as if the Reds might yet again come up short in their attempts to prise away any upcoming or established stars that they had in mind, leading to frustration among fans as well as the management as a whole. The club has already signed one defender in Diogo Dalot from Porto, but even Mourinho would have to admit that the 19-year-old is far from ready to make regular appearances for the club, at a time when defence was made the first priority by the Portuguese boss.